Huge Savings Item! 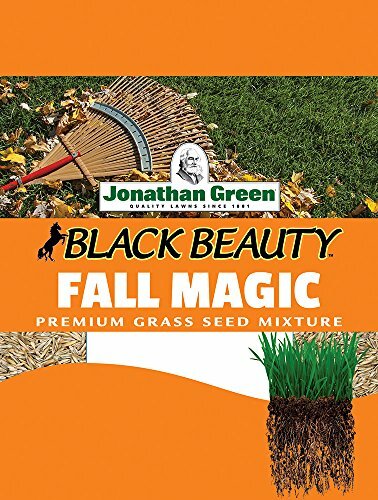 Save 20% on the Jonathan Green 10765 Fall Magic Grass Seed Mix, 3 Pounds by Jonathan Green at Nama Database. MPN: JOG10765. Hurry! Limited time offer. Offer valid only while supplies last. Fall Magic Mixture is specially formulated for successful fall seeding. This mixture is good to use on established lawns or to start new lawns. Fall Magic Mixture is specially formulated for successful fall seeding. This mixture is good to use on established lawns or to start new lawns. Repairs summer damage and provides an attractive, thicker, greener lawn. Use in sun and shade lawn areas. This contains 3 pounds and covers 1500 square feet area.